Stone Canyon Golf Club is a Luxury Golf Community with staffed gated access. Located in Oro Valley, Arizona Stone Canyon Golf Club sits in the foothills of the Tortolita Mountains. Stone Canyon Golf Club Homes have panoramic views of not only the Tortolita Mountains, but the Catalina Mountains as well. The outstanding views of the Tucson City Lights are only rivaled by the fantastic Tucson sunsets. The Stone Canyon Golf Club also offers a pool and spa with pool side casual dining. Tennis and a fitness center are available to home owners. Lots range from one to five acres with varied elevation changes. All homes in Stone Canyon Golf Club community are custom built and will range from $1 million to $3 million plus. 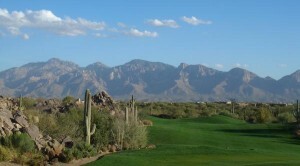 As a private residential community Stone Canyon Golf Club has with over 1,400 acres of land and desert beauty. The crown jewel of this community is the Jay Morrish designed golf course. A modern Health & Fitness Facility provides members and their guests a world class experience. A Stone Canyon Golf Club home will, without a doubt, have a stunning desert landscape. It is difficult if not impossible to describe this setting in words. Subdivisions adjacent to Stone Canyon include Honey Bee Canyon, Fairfield at Vistoso and Stone Village. Stone Canyon homes are served by the Amphitheater School District. We would be pleased to arrange a visit to view any of the Stone Canyon homes you would like to visit. Moving To Tucson OR looking at Tucson Real Estate For Sale? We can help! Questions about Tucson Homes, Tucson Real Estate Market or Stone Canyon Golf Club Homes for Sale? Call Us 866 316 5575 OR complete the CONTACT FORM and we will get right back to you!